Have you ever seen a ‘chocodile’ that lays chocolate eggs? Or been to a storytelling session where the book characters really came to life? Have you ever taken part in a hot wheels race – on skates? If the answer is no, it’s time to read this funny book. 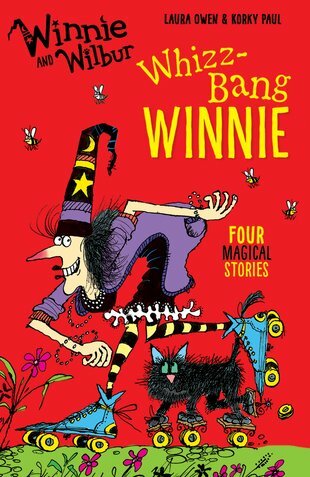 Runaway broomsticks, wild weather, silly spells… Winnie the witch loves to conjure up laughs!